With the theme “Empowering Adolescent Girls: Ending the Cycle of Violence” YPSA observed International Day of the Girl Child 2014 in recognition of the importance of investing in and empowering adolescent girls and of preventing and eliminating the various forms of violence adolescent girls experience. 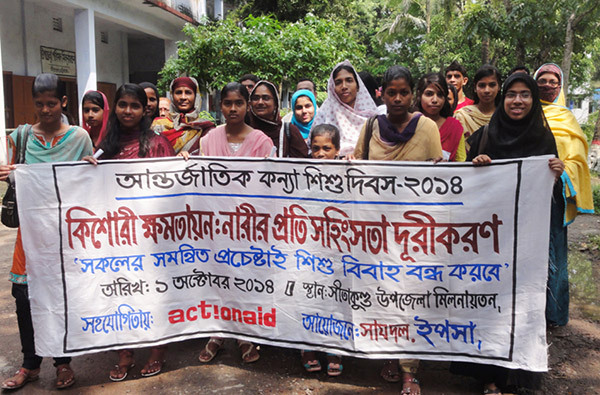 Rally and discussion meeting were organized at the Sitakund Upazila Parishad with the support of Actionaid Bangladesh. 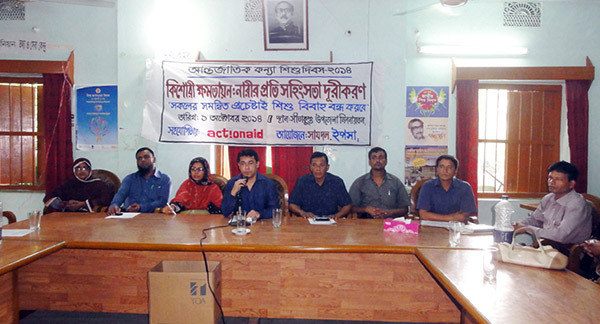 Muhammad Shahin Imran, Upazila Nirbahi Officer presided the meeting. “Child marriage robs girls of a chance to get an education and escape poverty. It also has negative health impacts, including increased risk of complications from pregnancy and childbirth, likelihood of experiencing violence. All young women and girls have the right to freely decide if, when, and whom they choose to marry” speakers said in the meeting. Md. Alauddin Shabery, Vice chairmen of Upazila Parishad, Ms. Najmun Nahar, Upazila Women Affairs Officer, Md. Shah Alam, Upazila Youth Development Officer, journalists, UP members, NGO representatives and school and college students participated in the program.